SAR stands for stop and reverse and it is a trend following indicator, designed to identify the turning point in price action. 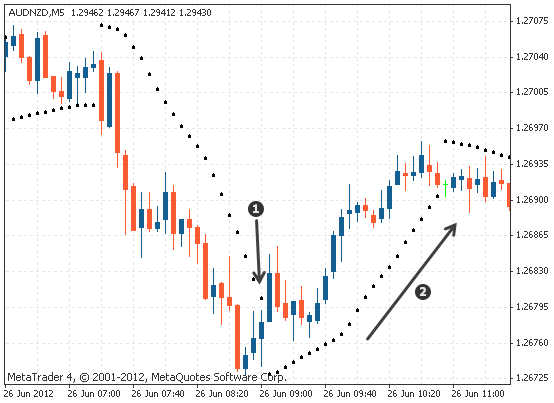 The parabolic SAR is shown on the charts as a series of small ‘dots’ that are placed either above or below the price. When the price is trending to the upside, the dots are below the price action and when the price is trending to the downside, the dots are above the price action. SAR stands for stop and reverse and it is used to identify the turning point, or reversal, of a trend. It is shown on a chart by a series of small dots. If the dots are above the price, then the trend is likely to be down; if the dots are below the price, the trend is likely to be up. It trails the price movement until the price move has finished and begins to reverse. As the price move comes to an end, the parabolic SAR moves steadily closer to the price until the price ends up touching the dots - the SAR then begins to form on the other side of the price, indicating that the price is changing direction. The chart below demonstrates the parabolic SAR indicating and then tracking an uptrend. In the illustration above, notice how the SAR appears below the price as price moves upwards. When the price move is finished, the price touches the SAR, signalling a possible change in the trend to the downside. In the example above, the SAR appears above the price, signalling a downtrend. The SAR trails the price down until the price movement is finished and when the price touches the SAR, it changes, signalling the end of the current downtrend and a possible reversal to the upside. Traders can use the SAR to identify the direction of the trend. The SAR can also be used for trailing stop losses, moving the stop loss just behind each new SAR that forms, until the price eventually reverses and stops them out in profit. 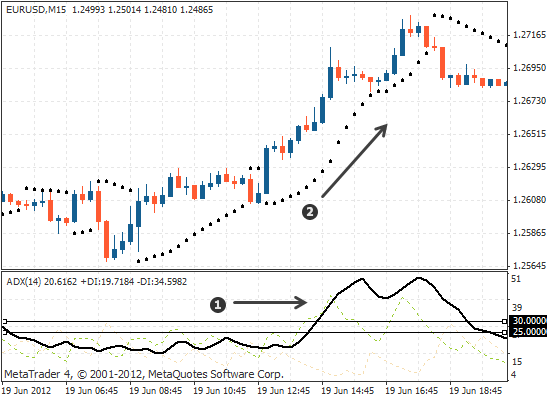 The parabolic SAR can be combined with many indicators, however, the most important principle to bear in mind is that the role of the SAR is to determine trend direction and any changes in that direction. It is best to combine it with indicators designed to determine the strength of a trend, not the direction of the trend. Combine the parabolic SAR with an indicator that determines the strength of a trend, not the direction of the trend, as that is the role of the SAR itself. One of the most common indicators used to identify the strength of a trend is the Average Directional Index (ADX). Therefore, do not combine the SAR with another indicator used to determine a trend, as this will only provide two sets of trend confirmation signals. If the SAR is combined with an indicator that shows the strength of a trend, then when a strong trend has been identified and confirmed, the SAR can be used to determine optimal entry and exit points. One of the most common indicators used to identify the strength of a trend is the ADX (Average Directional Index) indicator. This indicator measures the price movements and provides a reading to indicate whether the current trend is strong or weak. If the trend reading is strong, then a sustained move can be expected, whereas if the reading is weak then it is likely the market will simply range. How do you combine the SAR and ADX? If the ADX is reading between 0 and 25, then the trend is considered too weak to trade and the market is likely to be ranging. If the ADX is showing a reading of over 25, then the trend is strong enough to trade. Caution with a strong ADX reading If the ADX reading reaches 50 or above, then there is a strong possibility of the asset stalling and changing direction, so excise caution when the ADX becomes too strong. If the ADX is over 30, then the trend is considered much stronger and it is optimal time to use the SAR to trade. The image below shows the ADX as below 25, which means the trend is weak and there is an increased risk in using the SAR to enter trades. 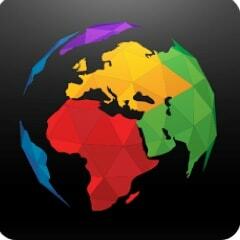 You can see that the market is ranging and the SAR does not provide any useful information. However, in the image below, the ADX value is over 25, which makes the market conditions optimal to base trading decisions around the SAR. You can clearly see that the market is trending and so the SAR can be used to help enter into a trade, as well as for a trailing stop loss placement. When working with the parabolic SAR, you can change the settings to best fit your personal preference. When the SAR is set further away from price action, it will react slowly and provide less signals, but they are likely to be more reliable. When the SAR is set closer to the price action, it will react more quickly and provide more signals, however they are likely to be less reliable. Once you have decided which settings you would like to test, you are ready to begin collecting data to use when comparing results for each setting. A good place to start is by trading with the SAR on its standard settings. Your trading journal is a great tool for conducting this type of analysis. Once there is sufficient data from trading with the standard settings, you can carry out the same process with differing settings, each time analysing the results of a series of trades and then comparing these results with the original set. 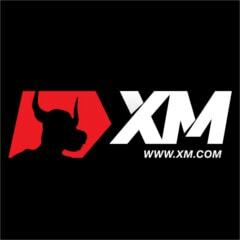 It is also important to note that the more trades you include in each sample over a longer period of time, the more reliable and useful the results of the analysis will be. Analyse and test multiple SAR settings and strategies with your trading journal. The more trades you take during your sample period, the more reliable the results will be. ... the parabolic SAR is a trend following indicator. 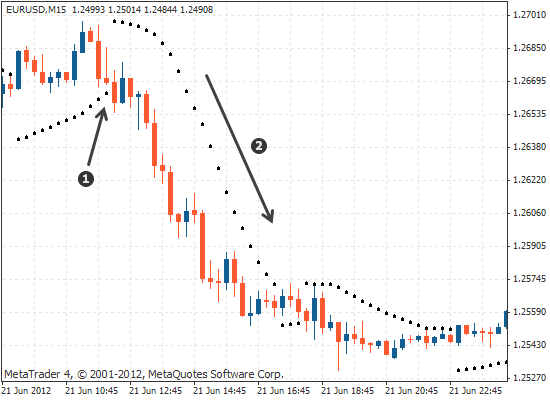 ... it can be used to determine a trend and for a trailing stop. ... the SAR works in a trending market, not in a ranging market. 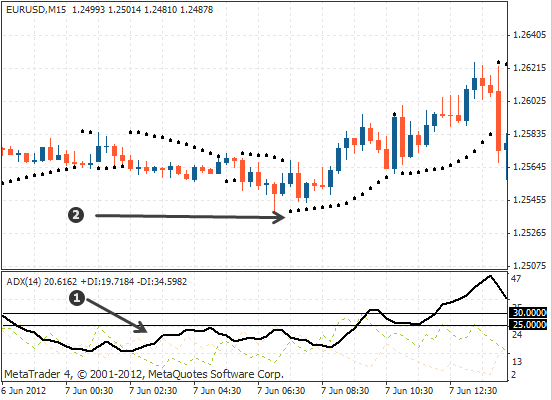 ... combine the SAR with indicators designed to determine the strength of a trend. ... you can combine the SAR with the ADX to achieve higher performance. ... the settings can be change to make the SAR more sensitive to the price movement. ... if you change the settings, the performance should be analysed with a trading journal to see the effects.